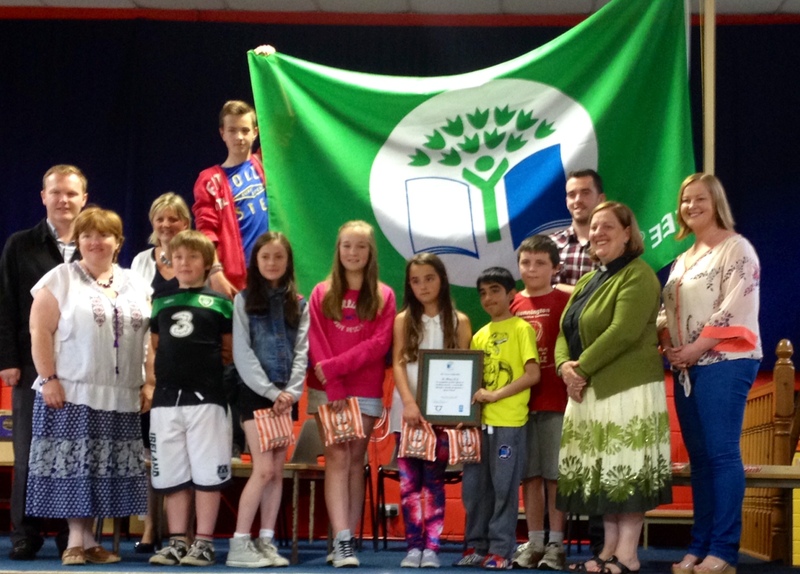 St Mary’s Church of Ireland National School, Carrigaline Co. Cork, recently hoisted their very first Green Flag at a full school assembly. Local Councillor Seamus McGrath and the Revd Elaine Murray (Rector of Carrigaline Union) did the honours as the Green School Committee (consisting of Pupils, Teachers and Parents) looked on. This entry was posted in Church in Society, Contemporary Issues, Education, Environment, Schools in the Diocese. Bookmark the permalink.